As we drive the 395 to get to Kibbutz Tzuba the winery’s vines grace our approach – they stretch from the bottom of the hillside along the valley below and all the way to the entrance of the Kibbutz. 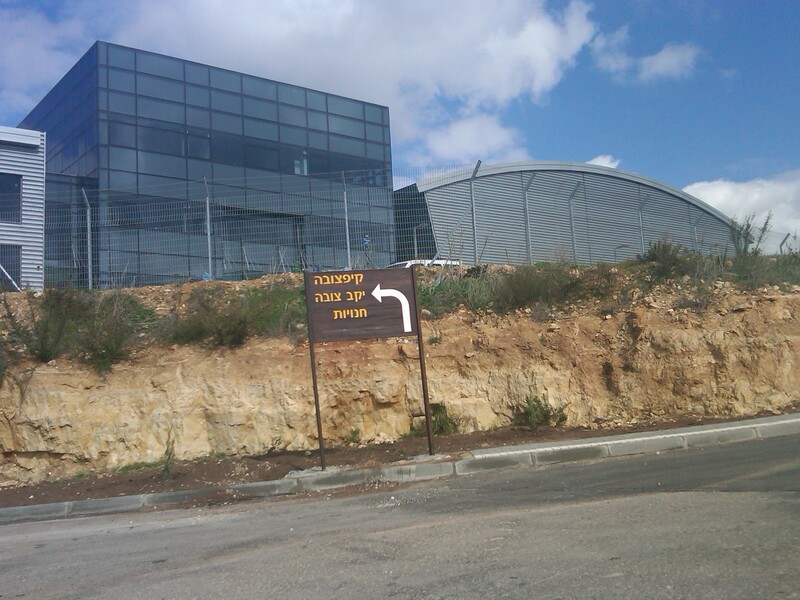 The Kibbutz is a high tech Kibbutz, building bulletproof glass and other protective shielding, a thriving business in these trying times. As we drive up to the winery, which is to the left, after you enter the Kibbutz gate, the winery is straight ahead, and Paul Dubb was there to greet us. Paul is the wine maker for the Tzuba Winery and has been growing grapes for the Castel Winery, and some other 10 wineries, since 1996. Actually, Tzuba is a winery whose history and very existence is intrinsically intertwined with Castel Winery, and many of the other big boys of Judean Hills. How you ask? Well, it all started in 1996 when Kibbutz Tzuba made a highly fortuitous and almost prophetic decision to plant some 110 acres of grape vines! That was only a year after Castel’s maiden release of its Grand Vin, and only a few years after Ronnie James started Tzora Winery, also in the Judean Hills. The crazy thing is that the Kibbutz decided on doing this even before they had actual contracts to sell these grapes. Further, they planted more than just the classic noble grapes. Of course they planted Cabernet, Merlot, Chardonnay, Shiraz, but they also planted Pinot Noir, Cabernet Franc, Sangiovese, Petit Verdot, Malbec, Grenache, Mourvedre, and Nebiolo! 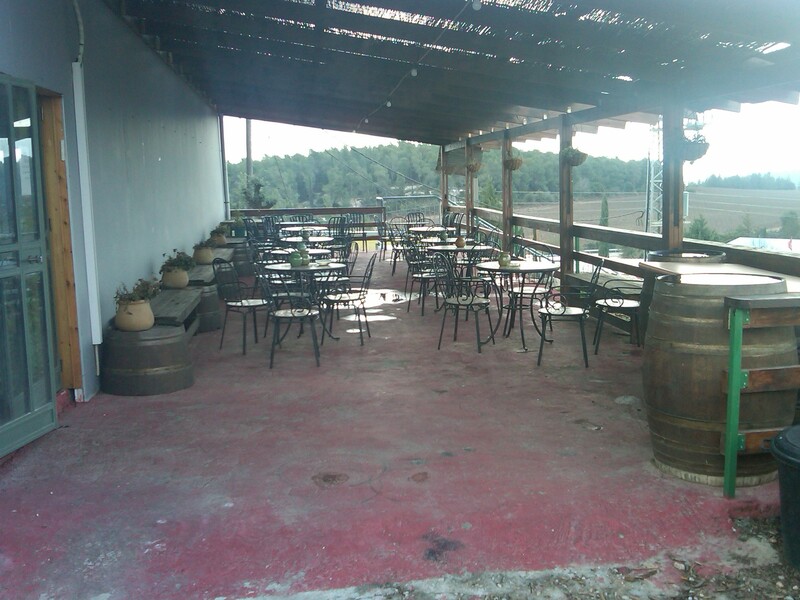 The winery has three sets of labels for its wines (levels if you may): the top-of-the-line Metzuda that is produced only in selected years; Tel Tzuba of varietal and blended wines, and the popularly priced Hamaayan. Yes, that is the setup, but how is Tzuba Winery intertwined with Castel and other Judean Hill wineries? Simple, where did these wineries get their grapes? Who had vines back in 1999? Tzuba! Who was the vineyard manager in 1996? Paul Dobb. Who was the vineyard manager for Castel in 2000 till 2004? Yes, Paul again. 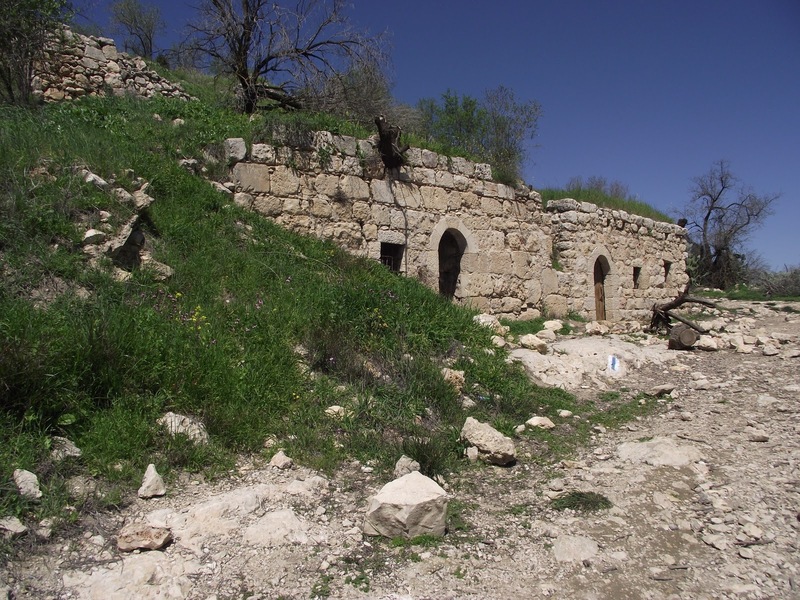 What is Castel named after, the old Belmont Castel fortress that Eli Ben Zaken named his winery after! The very same castle/fortress that over looks the Tzuba Winery! The very same fortress that the Metzuda (the fortress) wine label is named after. The same fortress that the Belmont wine label uses. In so many ways the Catsel winery is deeply intertwined with the Tzuba Winery. In a way, you could say that Kibbutz Tzuba and the Tzuba Winery are the grape capitalists of the Judean Hills. With all that said, this is NOT to say that Tzuba is Castel’s second label, rather Tzuba is many ways is the purveyor of Castel’s very blood, its grapes. Further, Tzuba’s approach is actually 100% counter to Castel’s approach. Mr. Ben Zaken will be happy to tell you that his desire is to recreate Bordeaux, without its terroir flaws (climate and temperature). In many ways Ben Zaken has been successful in his desired transportational affect, but that is not what Mr. Dobbs is looking for. Actually, Mr. Dobbs is looking for Mediterranean styling in his wines. 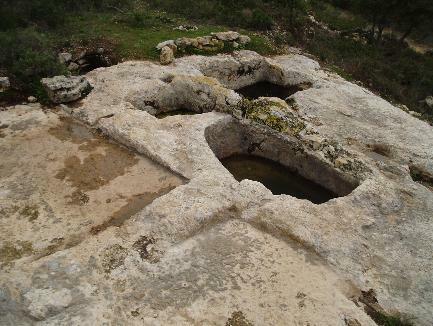 He desires the very fruit, mineral, and rich herbs that drench the hillsides of the Judean Hills to be transported into the very body and nose of Tzuba’s wines. In 2000 Moti Zamir decided that being a wine purveyor was nice, but he wanted to see what the kibbutz could do for themselves, that is when he created the Tzuba Winery. The 2005 vintage was the winery’s first vintage where they produced some 30,000 bottles. In the following years they have ramped up to some 50,000 or so bottles. They hope to expand production to the tune of 10 to 15 percent every year. In other words, slow and consistent growth. The winery currently has some 150 acres of grapes, of which they sell off some 70% of them to ten or so different wineries. They currently are releasing wines from the following varietal: Chardonnay, Viognier, Sauvignon Blanc, Merlot, Cabernet Sauvignon, Pinot Noir, Cabernet Franc, Sangiovese, Shiraz, and Petit Verdot. They have some 14 different grapes in the vineyards, but some are not quite ready for prime time. Such as, Malbec, Grenache, Mourvedre, and Nebiolo. The winery also produces a red and white dessert wine. 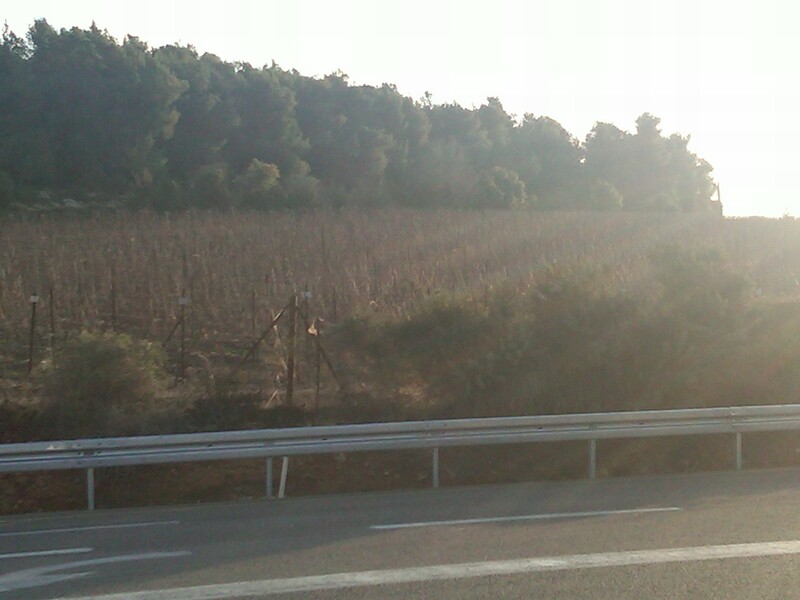 The winery’s grapes all come from the kibbutz’s own vineyards, and are all single vineyard wines. The vineyard was planted in a highly dense manner; 660 vines per dunam and with very low yields, around a ton of grapes per dunam. The local topography of the Tzuba hillside vineyard, which is at an altitude of 700 m, and climate, provide ideal conditions for the dedicated kibbutz staff to cultivate the vineyards and produce a variety of prize-winning boutique wines. The cool evening air helps the vines to not overheat, and allows the grapes to mature at a rate that maximizes the sugars and acids, to create lovely and sophisticated wines without massive alcohol levels. This was our third visit to Tzuba Winery, and every time it seems the winery is adding new stuff. Like Paul said the last time we met, they were going to build a lovely porch overlooking the old wine press, and sure enough they did! The weather was not so co-operative, so we had our lovely tasting inside. Mr. Dobb has been around grapes since a youngster – where he grew grapes with his parents and grew a love for grapes and wine. Paul’s work is evident in the Castel wines – but is also visible in his own wines. The wines are fruit forward but in a balanced manner. This he says comes from the way he tends to his vines. He makes sure that the vines have sun, while keeping them shaded, to minimize over exposure of sun, which tends to show overripe flavors and too much acid in the wine. The wines are all aged in either American or French oak and according to Paul – do not tend towards Bordeaux flavors. The winery is built to bring value wines in the Boutique winery market – something that Paul stressed is one of the selling points about Tzuba. Finally, the winery is owned in partnership with Kibbutz Tzuba – a partnership that should help the winery to compete in the ever-competitive Kosher Israeli wine market. The wines we tasted we partially from the 2008 vintage, the shmitta year that will not see the light of day in America, and some from before and after the 2008 vintage. The 2007 and 2009 wines have and will soon be available in America, while, as stated before, the 2008 vintages are available on in Israel, as Royal Wines (the US distributor for Tzuba) does not import Shmitta wines. We have spoken about shmitta and other such kosher issues in my Kosher 101 blog posting. 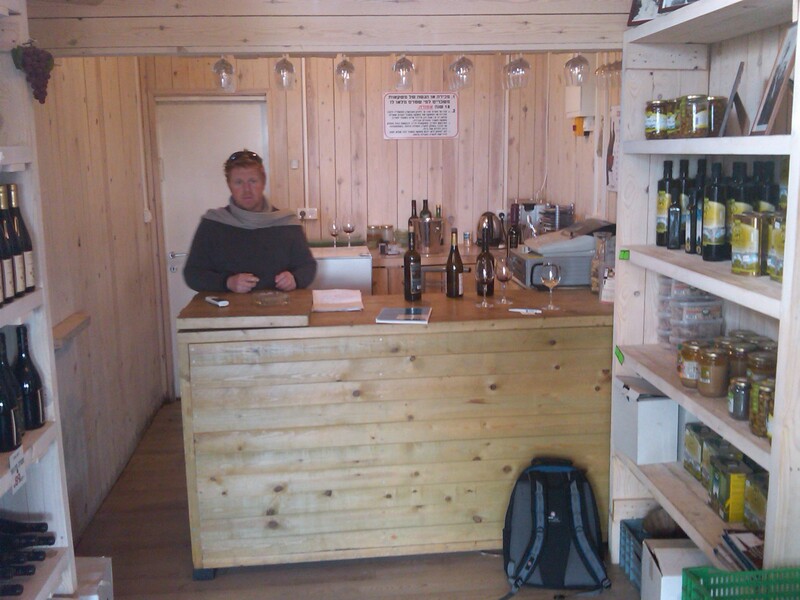 In addition to the new porch, Tzuba also built a new wine bar and point of sales, down near the porch, where Paul says, they sell some 30% of the wine that they produce. Twenty percent is shipped abroad, and the other 50% is sold in Israel. Many are now seeing the obvious potential of the Judean Hills, but it was Kibbutz Tuba’s vision to become the purveyor of all of the Judean Hill’s fledgling wineries. Sure, Castel now has its own vineyards, as does Teperberg, and others. However, they would never have plunked down 10 million dollars into a vineyard (like Teperberg just did), without first having had success, using Tzuba’s grapes! Along the way, Tzuba realized that they too could be a world class winery! Just look at our scores, and the scores of the late Daniel Rogov, the winery has been clearly and steadily improving. Not just on its elusive Metzuda vintages, but also on its baseline Tel Tzuba and Hamayan wines. If that was not enough, we are so excited by Mr. Dobb’s vision for the winery’s varietals! Cabernet Franc, Pinot Noir, Shiraz, are wines that excite me equally, if not more, than the lovely Cabernet and Merlot wines. Finally, when you take a quick look at Tzuba’s wines and scores, you start to see a pattern that is very reminiscent of another well accepted winery, Galil Winery! I hope the prices in America will be able to be as rational and reasonable as Galil Mountain Winery. That way far more people can get a chance to taste the true flavors of the Judean Hills. Tzuba is a winery that definitely deserves more love for the wines they are producing, and for the consistent improvement in quality. But maybe even more, they deserve huge credit for being the grape purveyors and the winery incubators of the Judean Hills. This wine was aged 50% in oak and 50% in steel. The nose on this straw to light gold-colored wine is rich with oak, kiwi, grapefruit, guava, green apple, and brioche. The mouth on medium bodied wine is rich with kiwi, grapefruit, apple, and guava. The mid palate is balanced with acid, toast, oak, tart apples, and brioche. The finish is super long and bright with bright fruit, toast, kiwi, guava, grapefruit, and oak. Green apple, kiwi, grapefruit linger long. A nice wine that shows acid and wood balance. The nose on this garnet colored wine is mineral based with black cherry, strawberry, light chocolate, eucalyptus, toast, and currant. The mouth on this medium to full bodied is rich, and mouth coating with a concentrated red fruit attack, lovely spice, more tart fruit, currant, black cherry, and strawberry. The mid palate flows from the mouth and is balanced with acid, toast, chocolate, and more spice. The finish is super long with smoked meat, spicy oak, black cherry, and chocolate. This is a lovely oak infused wine that used no new oak, but one that has clear oak impact, but balanced well and tasteful with black cherry, currant, and strawberry. A wine that will be here for at least 4 to 5 more years. The nose on this purple to black colored wine is heavy with toast, roasted meat, nice floral hints, eucalyptus, black cherry, raspberry, currant, chocolate, and tobacco. The mouth on this full bodied wine is super rich and mouth coating with massive tannin, blackberry, currant, raspberry, and cherry. The mid palate is balanced with acid, oak, rich tannin, and chocolate. The finish is super long with rich oak, acid, blackberry, black cherry, tobacco, chocolate, and leather. The nose on this rich and opulent black colored wine is layered with rich blackberry, chocolate, currant, raspberry, eucalyptus, fig, mint, oak, and tobacco. The mouth on this full bodied wine is rich, layered, and concentrated with mouth coating tannin, blackberry, raspberry, and currant. The mid palate is rich and balanced with nice oak, still rich mouth coating tannin, and chocolate. The finish is super long and spicy with rich chocolate, blackberry, raspberry, tobacco, fig, and more nice tannin. The blackberry, tobacco, chocolate, and tannins linger long. A wine that is almost ready and will be around for 4 to 5 years. The nose on this rich and opulent black colored wine is layered with rich blackberry, tobacco, eucalyptus, roasted meat, raspberry, currant, oak, and fig.. The mouth on this full bodied wine is rich, layered, and concentrated with massive mouth coating tannin, rich and ripe blackberry, raspberry, currant, and spice. The mid palate is rich and balanced with nice oak, still rich mouth coating tannin, tobacco, and chocolate. The finish is super long and spicy with lovely tobacco, rich chocolate, oak, blackberry, toast, and leather. The blackberry, tobacco, chocolate, and tannins linger long. A wine that is not yet ready and will be around for 5 to 6 years. This final tasting is a wine that Paul is playing with, a wine that he calls Vintner’s blend. Not for commercial or consumer sale – but a look at what the Judean Hills can produce – it turns out that this may not have been kosher. The nose on this purple to black colored wine is rich with chocolate, blackberry, tobacco, raspberry, strawberry, red apple, mint, and light oak. The mouth on this medium to full bodied wine is almost soft and plush with almost mouth coating integrated tannin, blackberry, raspberry, strawberry, and eucalyptus. The mid palate is balanced with nice acid, tobacco, raspberry, and oak. The finish is long with more tobacco, an almost toasty/roasted finish, raspberry, blackberry, strawberry, and nice leather. The roasted notes, linger well with tobacco, leather, and red fruit. A lovely wine that is unique and one that can be enjoyed for a few years from release. 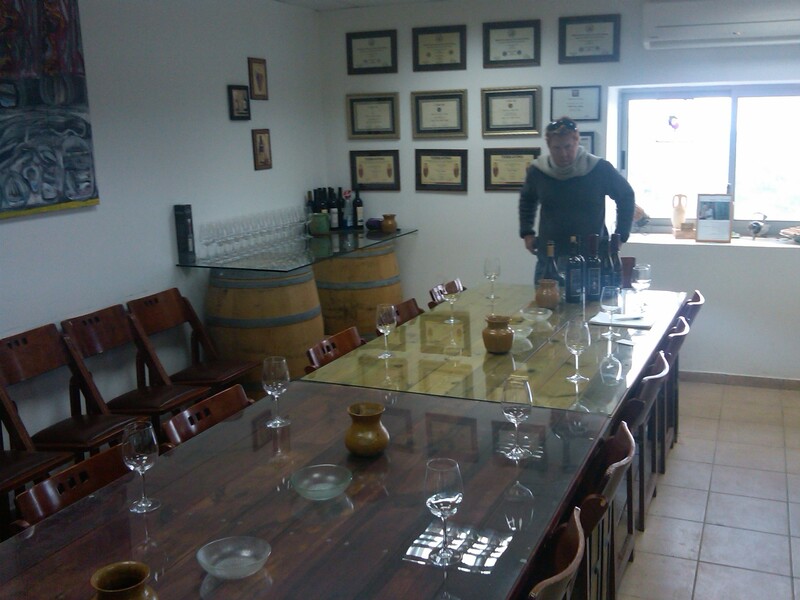 Posted on November 21, 2011, in Food and drink, Kosher Dessert Wine, Kosher Red Wine, Kosher White Wine, Wine Tasting, Winery Visit and tagged Cabernet Franc, Chardonnay, Metzuda, Pinot Noir, Tel Tzuba, Tzuba Winery, Vintner blend. Bookmark the permalink. 6 Comments.